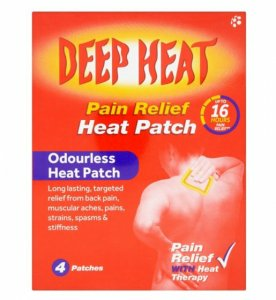 Mentholatum Deep Heat Patch is an effective non-medicinal alternative to the rub and spray. Can be placed directly onto the skin at the site of pain to provide soothing controlled heat for up to 8 hours. They are odourless and air activated upon opening. Applying heat to the joints and muscles in your body can help with injury or inflammation. 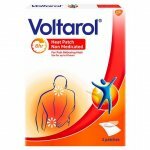 It can help relax the muscles, reduce stiffness, relieve pain and improve the blood supply to the affected area to aid healing. Heat treatment can be applied by using a warm pad or patch or by using a hot topical treatment such as a rub or spray like Deep Heat. 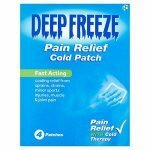 Deep Heat Heat Rub contains a special ingredient that, together with the body's natural enzymes, generates penetrating warmth that can be used to treat several types of pain. 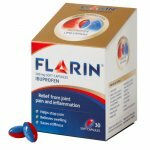 This rub contains ingredients that act as counter irritants to provide a tingling, pain relieving sensation to dilate blood vessels, re-oxygenate the tissues and relax the muscles. As it is absorbed, your body's natural enzymes turn its special blend of ingredients into a powerful painkiller. A 'topical' treatment is one that is applied directly to the part of the body where you feel the discomfort. This is different to painkillers taken by mouth, which dissolve to release their ingredients into the bloodstream and throughout the body. 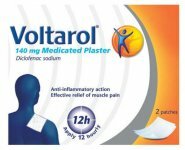 Topical analgesics minimise the risk of side effects by delivering the drug to the area of application. They can also be an effective alternative to oral analgesics, or can be used in conjunction with oral analgesics if necessary. Deep Heat can be used to generate heat in tired, injured or sore muscles. As it is absorbed, your body's natural enzymes turn its special blend of ingredients into a powerful painkiller. Can be used for back, hip, thigh, calf, arm, neck and shoulder pain. Open only when ready to use.